Don’t let spiders overrun your office or home. Preventing them is less costly and easier than removing them, but we can help with both. If you need help figuring out what type of spiders you have and the best treatment for your situation, just contact a professional at Midwest Exterminating. Black Widow – Lactrodectus mactans (Fabricius). The black widow is one of the most important spiders due to its ability to bite humans and inject poison. The adult females of the spider is glossy jet black in color, has a ball-shaped abdomen, and a much smaller cephalothorax. Markings can range in color from yellow, orange or the usual red and appear as lines and hour glass markings. The hour glass is on the underneath of the abdomen. Black widows make irregular looking webs and are usually found behind items store against walls on the outside of structures or in storage areas such as sheds and garages. 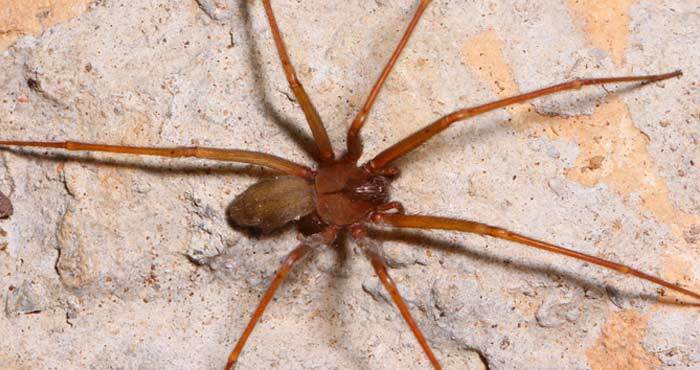 Brown Recluse – Loxosceles reclusa (Gertz & Muliak). 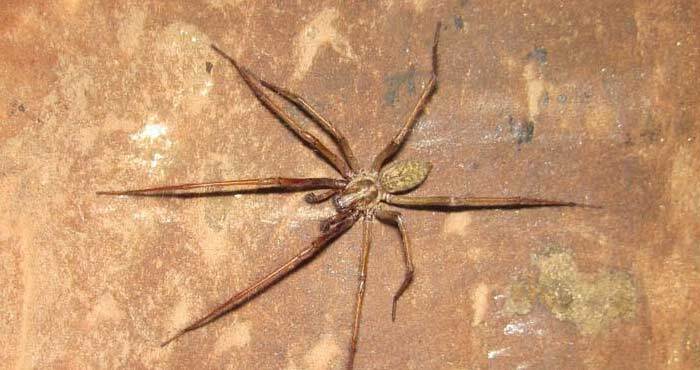 Also know as the “violin spider” this spider causes the most serious bite wound of any of the spiders occurring in the United States. The bite area will turn into a large open ulcerous wound as the venom causes the tissues to die. Unfortunately, these bites look a lot like wounds that appear when a break in the skin gets infected with Staphylococcus spp. bacteria causing misdiagnosis of a brown recluse spider bite when it’s not. The spider has a “violin” marking on the top of the cephalothorax and has very long legs compared to the body with a grayish colored abdomen. Wolf Spiders – Family Lycosidae. The wolf spiders are hunting spiders which although they have the ability to spin webs, do not do so for catching prey. The female carries the egg sac with her wherever she goes. Once the young spiderlings hatch from the egg sac, they ride on the mother’s back until old enough to fend for themselves. Some wolf spider species are quite large causing a fear reaction in most people as they are also very quick. They feed on insects and other spiders. Orbweaver Spiders – Family Araneidae. Orbweavers are the spiders that make the biggest, most beautiful webs that we see. Looking like wheels, these spiral webs are typically constructed between two items that are usually a few feet apart. The spider may be found in the center of the web resting face-down or up in the corner if there is shelter. They feed on anything that gets trapped in the web, especially insects and other spiders. They have even been known to feed on small birds that are caught.